We're tracking the biggest election races tonight as results roll in. Multiple outlets, including the Associated Press and CBS News, have projected a victory for Ted Cruz (R) over challenger Beto O'Rourke (D) in a hotly contested Senate race. Meanwhile, Gov. Greb Abbott has been re-elected by Texans. Other late victories called in the last few minutes for Texas: Republican incumbent George P. Bush over Democratic challenger Miguel Suazo for Texas land commissioner, and Republic incumbent Dan Patrick over Democratic challenger Mike Collier for Texas lieutenant governor. In a speech at his hometown of El Paso following his loss in the U.S. Senate race, U.S. Rep. Beto O'Rourke (D) repeated the same message of unity that formed the bedrock of his campaign, thanking his supporters in the process. “Every single one of us – Republicans, Democrats, Independents – from the biggest cities to the smallest of towns, the people of Texas want to do and will do the great work of this country," O'Rourke said. "My faith in this state and this country is in no way diminished at this moment." A short time ago, the Texas Tribune said incumbent Will Hurd (R) has defeated Gina Ortiz Jones (D) to represent House District 23. With 83 percent of Bexar County precincts counted, San Antonio Charter Propositions B and C are receiving support while more voters are against Proposition A. Props B and C would cap the salary and term for the city manager, and move forward on a fair pay contract for firefighters, respectively. Meanwhile, Prop A would modify petition rules, as well as what initiatives would be brought before voters. Despite his projected loss, Bexar County voters turned out in droves for U.S. Rep. Beto O'Rourke (D) in his failed bid to take U.S. Sen. Ted Cruz's (R) seat. With over 80 percent of precincts reporting, O'Rourke has garnered 59 percent of the votes from the county, compared to just under 40 percent for the incumbent. Meanwhile, the latest state numbers show Cruz with a slim lead, at 50.6 percent to 48.8 percent. In a race to succeed longtime U.S. Rep. Lamar Smith in House District 21, the Associated Press has called the victory for Chip Roy (R) over Joseph Kopser (D). The district is comprised of portions of Bexar County and San Antonio. With 63 percent of precincts reporting, Bexar County Judge Nelson Wolff (D) is leading Tom Rickhoff (R) in his efforts to retain his seat. With 28 percent of precincts reporting, U.S. Sen. Ted Cruz (R) is still maintaining a slim lead over U.S. Rep. Beto O'Rourke in the race for U.S. Senate. Cruz has 51 percent of the vote versus 48 for his challenger. The Associated Press has also projected a victory for U.S. Sen. Ted Cruz (R) over challenger U.S. Rep. Beto O'Rourke (D). CBS News is projecting that U.S. Sen. Ted Cruz (R) will keep his Senate seat over Democratic challenger U.S. Rep. Beto O'Rourke. We will continue to follow the votes as they come in. Tylden Shaeffer has conceded to Joe Gonzales in the race for Bexar County district attorney. With 10 percent of precincts reporting, U.S. Senate candidates Ted Cruz (R) and Beto O'Rourke (D) are locked in a virtual dead heat, with 49.9 and 49.5 percent of the votes, respectively. With over five percent of statewide precincts reporting, U.S. Rep. Beto O'Rourke (D) has re-opened a very small lead over U.S. Sen. Red Cruz (R) in the U.S. Senate race. The Democratic challenger has 50.2 percent of the votes to the incumbent's 49.1 percent. Additionally, the Associated Press has called several House races in Texas. The AP says Democrat Lloyd Doggett has won re-election in House District 35. Other Democrat victories called by the AP include Veronica Escobar in House District 16, Sylvia Garcia in House District 29, Sheila Jackson Lee in House District 18 and Marc Veasey in House District 33. The AP says the GOP has snagged some congressional victories as well. Republicans Brian Babin (House District 36), Kay Granger (House District 12), Kevin Brady (House District 8) and John Ratcliffe (House District 4) have all won. According to the Associated Press, Democrat Joaquin Castro has been re-elected to represent Texas's 20th Congressional District in the U.S. House of Representatives. He defeated Libertarian Jeffrey Blunt. The Associated Press says the Republican party has garnered early momentum in retaining some of the House seats that Democrats had hoped to claim. In the effort to keep his U.S. Senate seat over Democratic challenger Beto O'Rourke, Republican Ted Cruz has taken a very slim lead with only 3.5 percent of precincts reporting. He has 50.06 percent of votes to O'Rourke's 49.31 percent. The Associated Press has called the Texas gubernatorial race for Republican incumbent Greg Abbott over Democratic challenger Lupe Valdez. All polls across Texas have now closed. With two percent of statewide precincts reporting, U.S. Rep. Beto O'Rourke (D) is maintaining a very small lead over U.S. Sen. Ted Cruz (R). The Democratic challenger has 50.3 percent of the total votes counted so far versus 49.1 percent for Cruz in the (very) early going. U.S. Rep. Beto O'Rourke (D) has pulled back out in front of U.S. Sen. Ted Cruz (R) in the race for U.S. Senate. With two percent of the precincts reporting, O'Rourke has a nearly 4-percentage point lead over Cruz, 51.5 percent to 47.9 percent. U.S. Sen. Ted Cruz (R) has pulled ahead ever so slightly against U.S. Rep. Beto O'Rourke in the U.S. Senate race. Cruz at this time has 50.2 percent of the total votes cast against 49.2 percent for O'Rourke. In the gubernatorial race, incumbent Greg Abbott (R) is maintaining a double-digit lead over Democratic challenger Lupe Valdez, with 54.8 percent of the total votes counted against 43.5 percent for Valdez. U.S. Rep. Beto O'Rourke (D) is maintaining a slim lead over U.S. Sen. Ted Cruz (R). He currently sits at 48.9 percent of the votes in his favor, compared to 50.5% for Cruz. Gov. Greg Abbott (R) is widening his lead over challenger Lupe Valdez (D) in the early going, with 53.7 percent of the vote compared to 44.6 percent. Democrat Beto O'Rourke has taken the lead over the Republican incumbent Ted Cruz in the U.S. Senate race, with 52 percent of the vote to his opponent's 47 percent. Meanwhile, current Gov. Greg Abbott has a slight lead over his Democratic challenger, Lupe Valdez, in the early going. Abbott has 52 percent of the vote to the Democrat's 44 percent. Early voting numbers are giving Beto O'Rourke an early advantage over Ted Cruz in Bexar County. The Democrat has nearly 59 percent of early votes in the county to 41 percent for the Republican incumbent. Those numbers are just for Bexar County. Most polls have now closed, but those still in line as of now will be able to submit their ballots. Results are expected to start rolling in at any moment. As is the case with many across Texas, the U.S. Senate showdown between Republican Ted Cruz and Democrat Beto O'Rourke is the race we're keeping an extra close eye on. The two candidates have spent the same amount of time in Congress. Here's what they've accomplished since the start of their time in office. As of the top of the 6:00 hour, Bexar County officials say over 113,000 have taken to the polls on Election Day. At the end of a historic early voting period, it was clear this election's turnout would be substantial. We are about an hour away from the polls closing across the state. Soon after that, you can expect to see some of the results begin to be aggregated on this page. 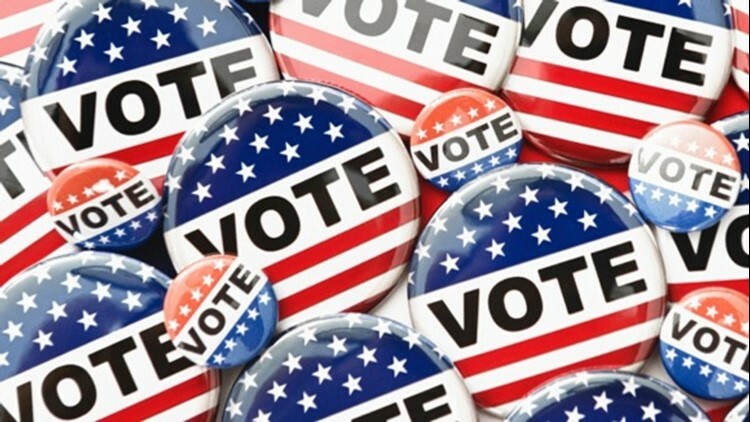 For all the latest numbers on statewide and local races in Texas, click here. Follow our live blog here, where our reporters who are live in the field will provide updates.